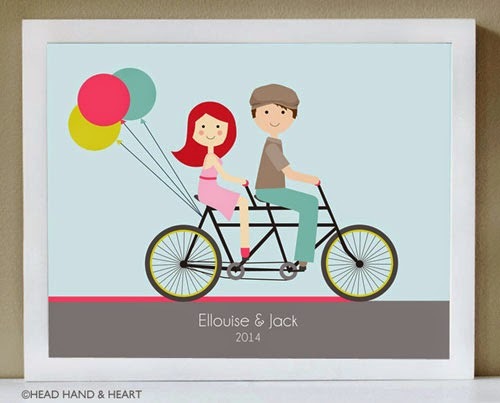 Head Hand & Heart: Bicycle Built for Two! A fun and special way to celebrate an anniversary [the traditional 1st Anniversary Gift is Paper!] or birthday for the one you love! Always be reminded of the fun you two have together as you look at this playful, one-of-a-kind Head Hand & Heart custom portrait!